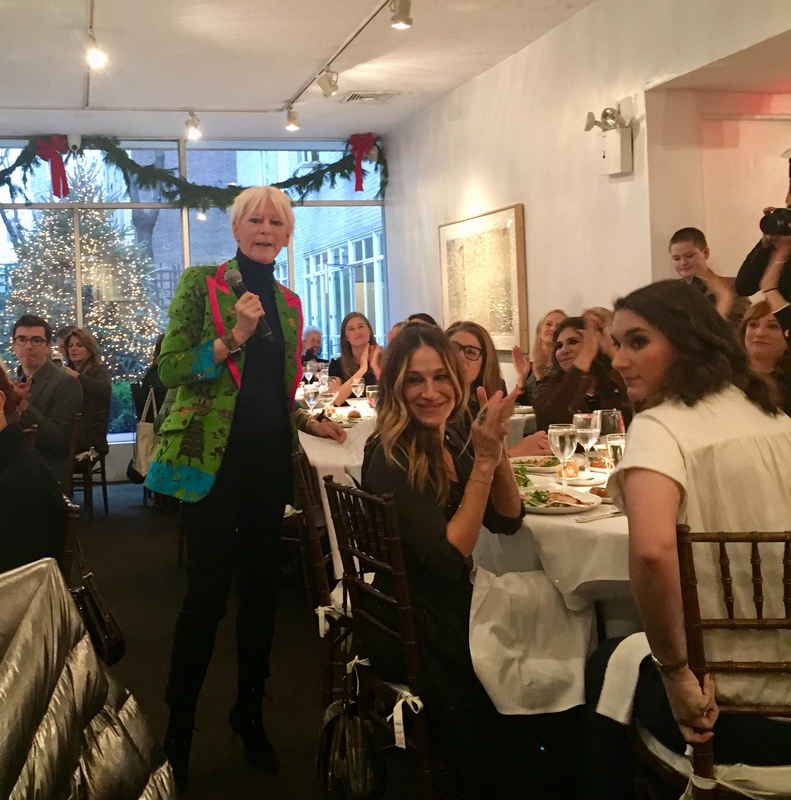 Joanna Coles hosted a lineup of power women — and Hearst men — at Michael’s in New York City on Monday for the annual Hearst 100 luncheon. As in years past, the event, which was formerly known as the Cosmo 100, drew an eclectic crowd from across industries. Guests included Katie Holmes, Sarah Jessica Parker, Candice Huffine, Planned Parenthood president Cecile Richards, Norah O’Donnell, Stephanie Ruhle, Arianna Huffington, producer Amy Pascal, power posing expert Amy Cuddy, New York City Deputy Mayor Alicia Glen, E Street band member (and Bruce Springsteen spouse) Patti Scialfa, screenwriter Liz Hannah, who was in town to promote the Katharine Graham biopic “The Post,” and tennis legend Billie Jean King. 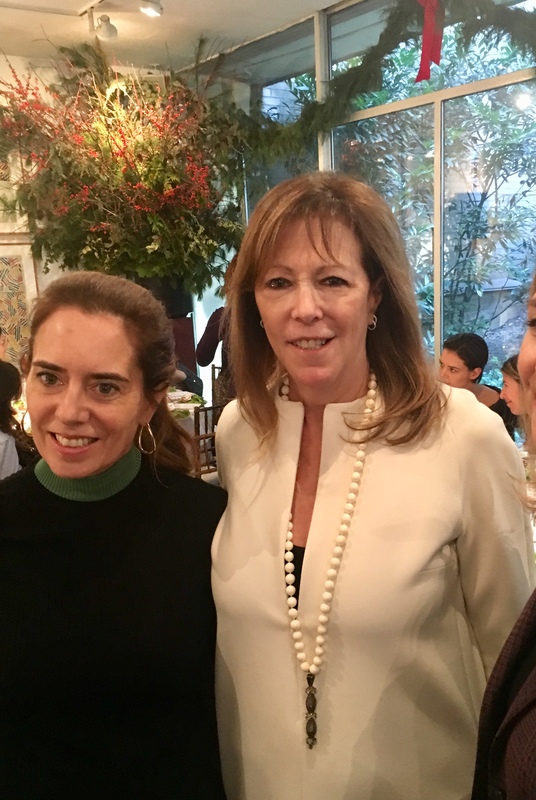 The Hearst contingent was out in full force — and, for the first time, male editors were invited. “We have to all get through the next few years together, so it seemed only incumbent upon us to invite them,” Coles explained. Almost all the editors in chief were there, including Esquire’s Jay Fielden, Town & Country’s Stellene Volandes, Elle’s new editor in chief Nina Garcia and executive editor Emma Rosenblum, Elle Decor’s Whitney Robinson, O’s Lucy Kaylin, Marie Claire’s Anne Fulenwider, Cosmopolitan’s Michele Promaulayko, and Harper’s Bazaar’s Glenda Bailey. The theme of the event, both in casual discussions over the salad course and in the speeches over salmon and lentils, was, naturally, the recent sexual harassment allegations roiling industries and bringing resignations on a seemingly daily basis. “I think it’s fair to say that since last year a lot has gone down. We are currently having the most extraordinary discussion about sexual harassment,” Coles said. “I’ve actually placed a survivor of sexual harassment at every table. I’m talking about the potted plants,” she quipped, referring to a particularly unsavory detail in an allegation against Harvey Weinstein. “I thought that was going to get more of a laugh,” she noted, which did succeed in getting a laugh. Coles finished by uniting the current political moment with a Cosmo-type spin: “Don’t worry about the calories in the dessert cookies, because if Roy Moore wins tomorrow, we will all be throwing up,” she said. 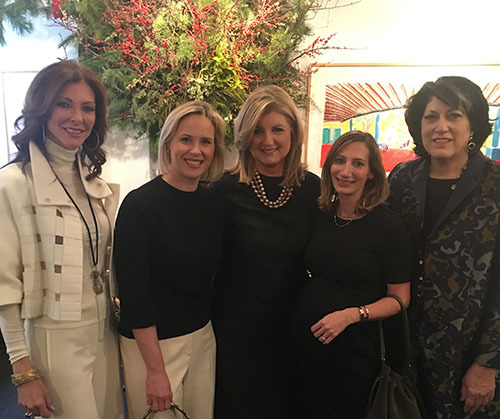 In keeping with the theme, the biggest celebrities in the Garden Room were Jodi Kantor and Megan Twohey, The New York Times reporters who broke the Harvey Weinstein story. The duo seem to be on a bit of an awards circuit — they also spoke at Glamour’s Women of the Year Awards last month, also to a standing ovation and again recounted the story that started the “Me Too” moment. “The people who questioned us, there was good reason to wonder whether we would be able to pull it off,” Twohey said, describing the obstacles they faced: legal settlements and nondisclosure agreements that prevented people from speaking out, a culture that made women feel that they couldn’t speak our without risking their careers, and systemic issues. “As we turn into 2018, the question is what are going to be the systemic solutions,” she concluded.